Does the Stuff Left in My New Minneapolis Duplex Really Have to Be Stored? | Your best resource for buying, selling, owning and investing in duplexes and duplex homes. Last week I explained what you can and can’t do with all the things tenants leave behind, and how Minnesota State Law requires you to store it for 60 days. What about the stuff that’s left in the basement when you buy a duplex? Do you have to store that too? The news is more encouraging on this front. 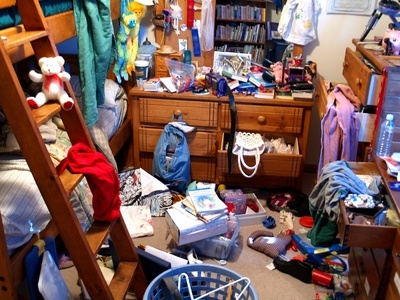 Unless you’ve negotiated for otherwise with the seller, anything left behind in the property after closing is considered “debris”. You can do with this what you wish; whether it be selling it on Craigslist or tossing it in the dumpster. Of course, you have to make sure the items do in fact belong to the seller and not the tenants. Dumpsters are expensive. And if there’s an excessive amount of debris on the property, it might be wise to either negotiate the cost of a dumpster into the purchase agreement, or require the seller to dispose of it prior to closing. This is especially important if there is an excessive amount of non-working appliances, as most refuse companies charge extra fees for disposal.